Former ​g​overnor of Ebonyi, Martin Elechi, has revealed why he left People’s Democratic Party (PDP) for All Progressives Congress (APC). In his address in Abakaliki on Friday, Elechi said that he defected to due to “injustices and lack of internal party democracy” in the PDP. 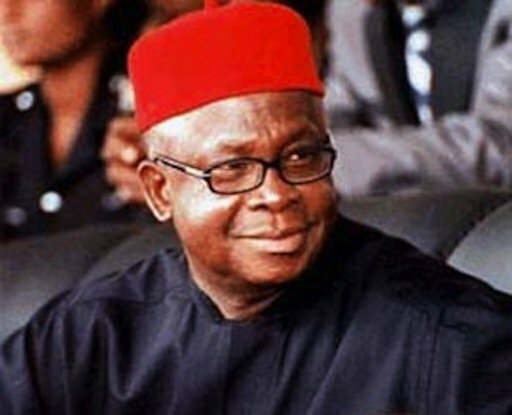 Elechi, who accused Govenor Dave Umahi of insensitivity to plight of the ordinary Ebonyi citizens, said that APC government would right the wrongs and restore value to governance in the state. 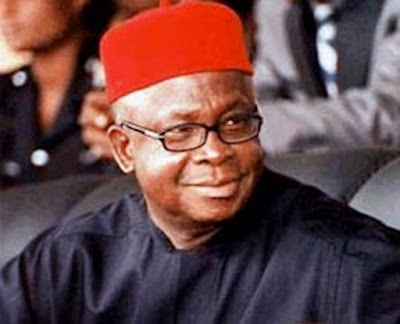 He critised the Umahi administration for its intolerance to credible opposition views, attack on press freedom, crippling the economy with needless loans and penchant for abandoning existing projects in preference for unrealizable elephant projects. His words: “The change we all clamour for is finally here with us; we are heralding the dawn of a new era in the Ebonyi body polity. “The APC has come to salvage the decaying political values caused by the mis-governance of one man who has lost focus of what political leadership and governance entails. “A man who prefers to embark on unrealizable elephant projects that have no direct bearing on the lives of the people. “We built an international market with about 8,000 lock-up shops which is still not given out to the market men and women who need these shops and our Governor embarked on construction of shopping mall. “The Governor abandoned Oferekpe gigantic water scheme and we hear that he is now embarking on construction of tunnel while our children are out of school due to the inability of parents to pay their school fees and pensioners being owed months of arrears”. In attendance were APC National Chairman, John Odigie-Oyegun, Minister for Science and Technology, Dr Ogbonnaya Onu, Acting chairman in the state, Eze Nwachukwu among other chieftains. Elechi’s wife​,​ Josephine​,​ 6,000 other former PDP​ members,​ including ​ex-Deputy National Chairman, Chief Solomon Onwe joined Elechi in defecting. ​​Other d​ecampees included Chief Edward Nkwoagu, Labour Party 2015 governorship candidate, former Senators, former House of Representatives members, Commissioners, Special Assistants, Permanent Secretaries and local government chairmen.